This completely revised definitive hiker’s guide to Vermont—now in full color with all new maps and elevation profiles—leads hikers up classic peaks like Camel’s Hump, Mount Mansfield, and Mount Ascutney, as well as revealing many lesser-known gems. Hikes range in length from a half-mile stroll to overnight backpacking trips. Each hike description includes a topographic map, mile-by-mile directions, and information on distance, difficulty, terrain, and hiking time. Each hike chapter is enlivened by knowledgeable commentary on the area’s geology, history, and wildlife. From gentle nature trails to rugged peak climbs, from remote ponds to historic ghost towns, from rushing waterfalls to rare peregrine falcon habitat, the Green Mountain State is a classic hiking destination. The Green Mountain Club is Vermont's statewide hiking organization and the custodian of the Long Trail, as well as Vermont's section of the Appalachian Trail. 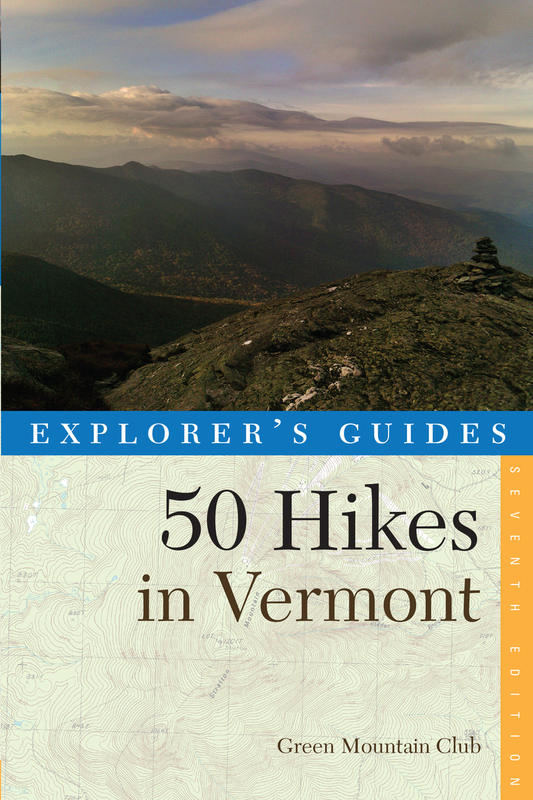 More than 20 volunteers cooperated in researching and updating Explorer's Guide 50 Hikes in Vermont. The Green Mountain Club is located in Waterbury, Vermont. Learn more at www.greenmountainclub.org.